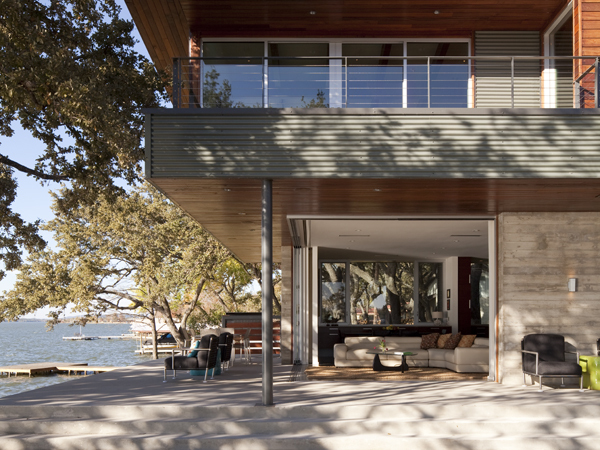 This 3,000 sf vacation home sits at the heart of a small peninsula that projects onto Lake LBJ. 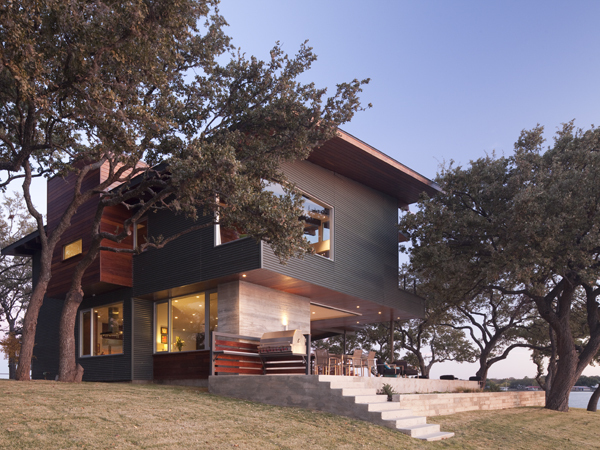 The site’s previous life as a fish camp, as well as the expansive views, wind patterns and existing tree canopy served as design inspiration. 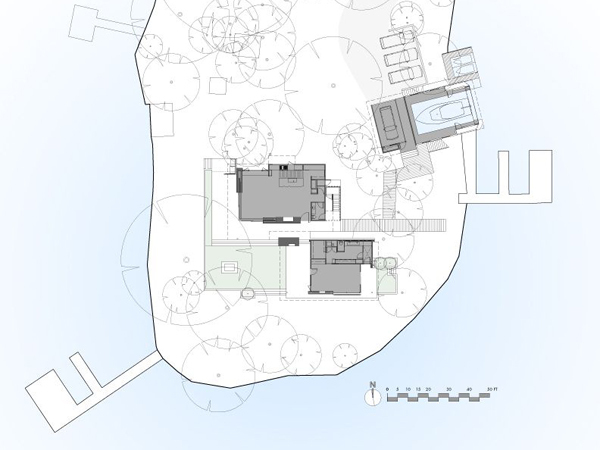 These elements directed a design vision that focused on exterior circulation and moments of outdoor living. 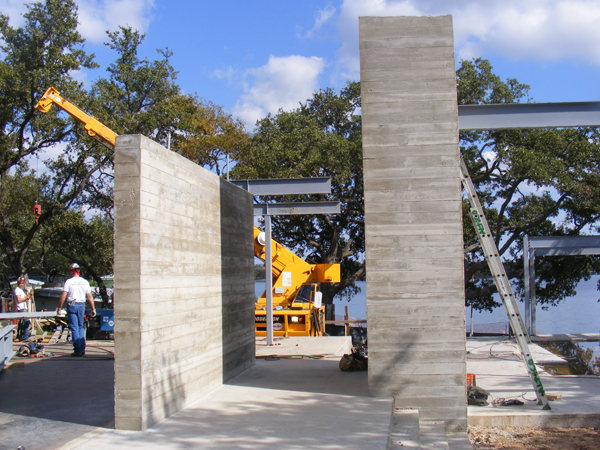 Project materials were chosen based on a cabin on the lake. 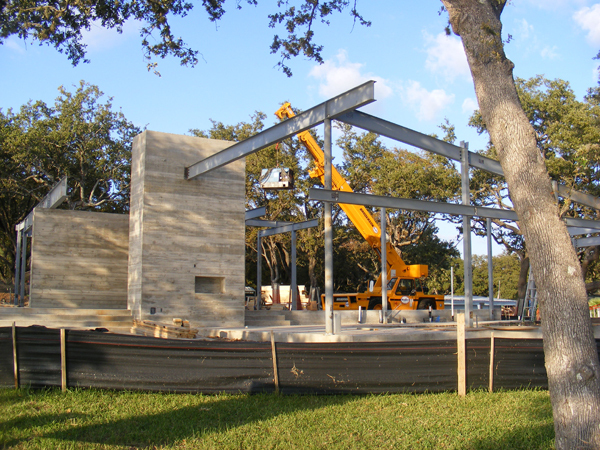 Durability and permanence were important requirements for the final material selections, which include board formed cast in place concrete, exposed steel structural members, Rheinzink metal and ipe siding. 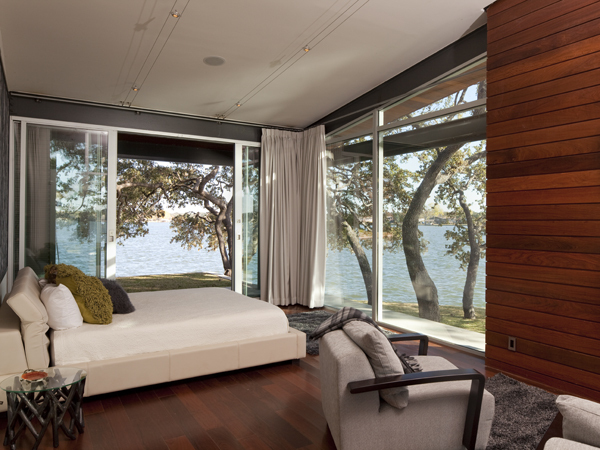 2011 Residential Design + Build magazine Design Excellence Awards for 3,000 sf to 3,990 sf and Vacation home.